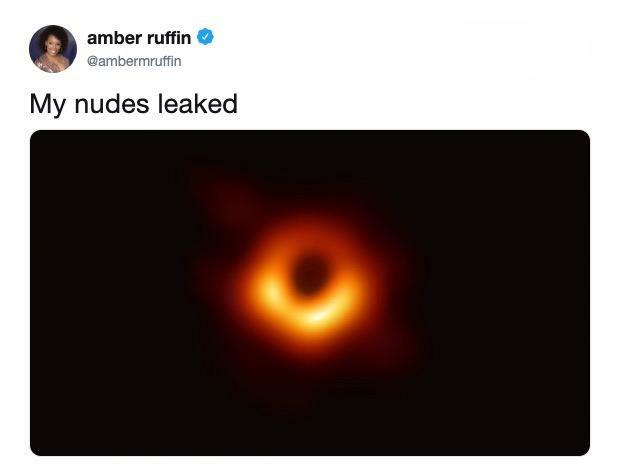 In a news conference on April 10, scientists unveiled the first ever photo of a black hole, or rather the event horizon of a black hole. 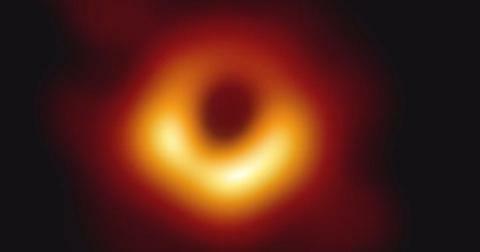 The image is the result of two years of work with observations made with the Event Horizon Telescope (EHT), and is currently the strongest evidence to date proving the existence of black holes. The image of Sagittarius-A, the black hole at the center of the Milky Way, was met by gasps and applause when unveiled at the National Press Club in Washington D.C. as well as at five other venues around the world. 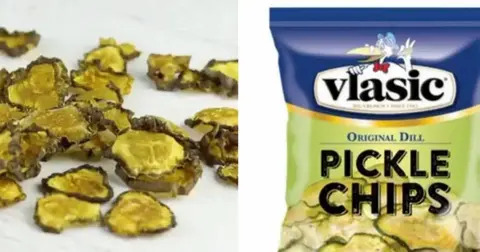 And to the public at large, it has garnered some pretty hilarious reactions about the gravity of this discovery. 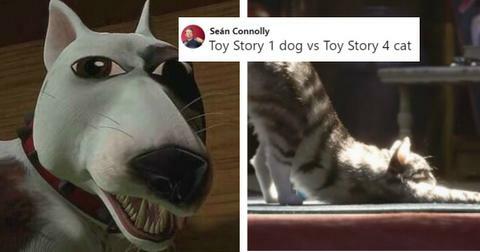 Pun very much intended. This thing 100 percent looks like the Eye of Sauron from Lord of the Rings. Even reports from papers of record like the New York Times couldn't help but make that observation. 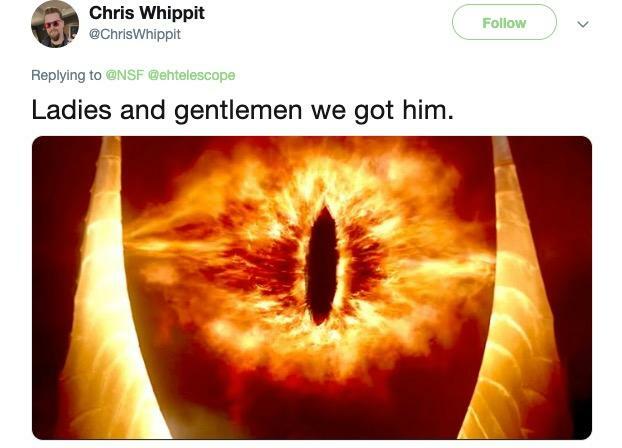 As if a supermassive black hole at the center of our galaxy wasn't scary enough, now we gotta think of it as all-seeing eyes of the Dark Lord? It also confirms Homer Simpson is an idiot savant of astrophysics. 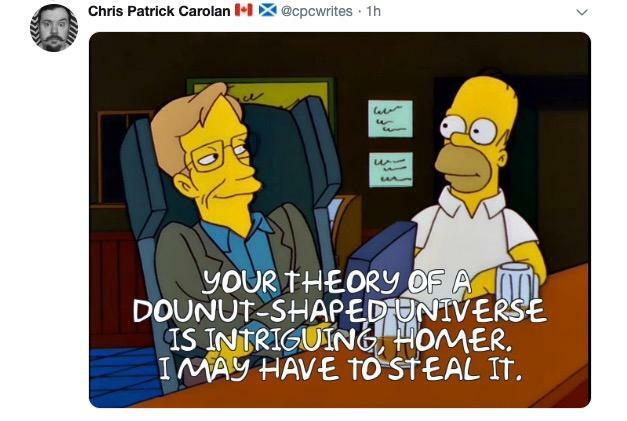 Remember when Homer met Stephen Hawking? Over a couple pints of Duff at Moe's, Stephen and Homer talked astrophysics theory. "Wow, I can't believe someone I never heard of is hanging out with a guy like me." 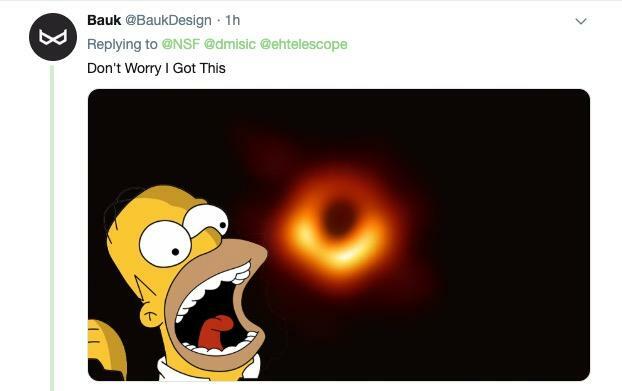 The black holes targeted by researchers possess masses several billion times that of our sun, but if anyone could consume a donut that big, it's Homer Simpson. 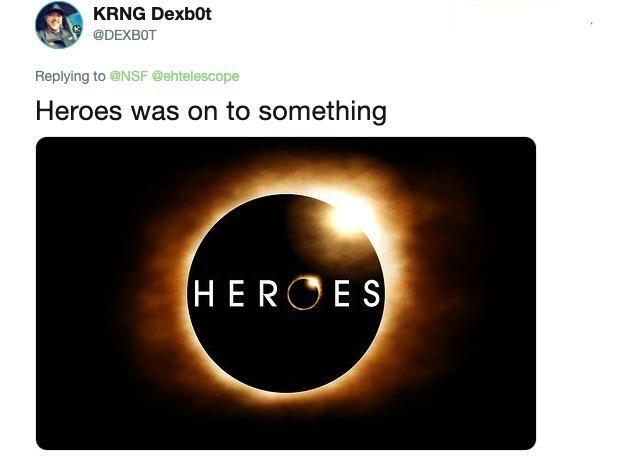 Others saw the 'Heroes' logo. WiFi issues of scientific breakthrough? 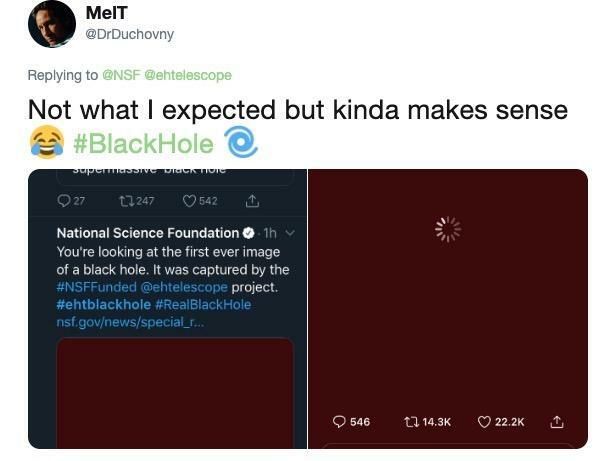 Anyone who's ever waited for an image to load with a bad internet connection can relate to the time-sucking nature of this particular black hole image. 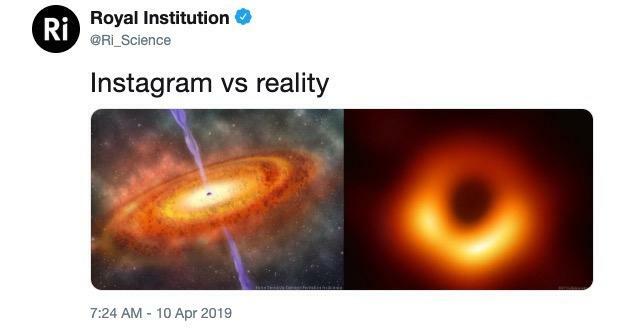 The Royal Institution poked a bit of fun at themselves by showing this side by side of their artistic impression of a black hole vs. what the EHT was able to show us. Jokes aside, this is a pretty stunning reveal. Astrophysicist Catherine Q. explains that we're not actually seeing the event horizon but the black hole's shadow. As for the bright ring, that's light bending around the black hole's gravity. 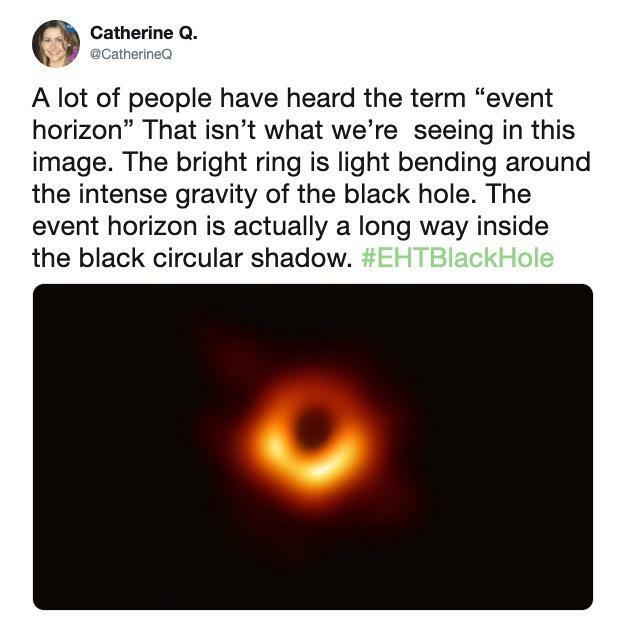 An astrophysicist’s live reaction to the #EHTBlackHole image reveal.